I haven't had any of the side effects discussed in the article. I have severe indoor and outdoor allergies, complicated by a deviated septum that was corrected as much as possible with surgery. I get allergy shots, which have helped, avoid foods I'm intolerant to, maintain humidity in my home at 50% or below to control mold and dust mites, have a great HVAC system with the best allergen removal (esp. dust and mold) available. I eat organic, exercise, do saline nasal rinses, and at age 64 even with allergies am in excellent health. Nonetheless, I usually get a couple of sinus infections every year. When i have one, I feel like I have a bad case of the flu. 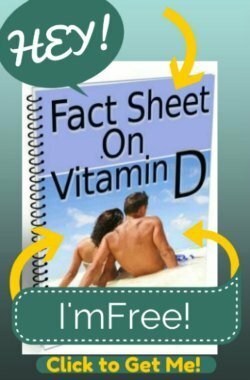 When not treated aggressively initially, they can last for months. Levaquin twice daily for 14 days usually does the trick, esp. when coupled with Prednisone for the first week. I've never had any side effects from either one (Levaquin or Prednisone) or from taking them together. A sinus infection unchecked can become life-threating if it progresses to pneumonia or enters the brain. You're right to be concerned about side effects of prescription drugs, but I wouldn't underestimate the value of these Rx's to treat bacterial sinus infections. They've done wonders for me in the past and will gladly take them again, apart or together, in the future if prescribed. No one is questioning the value of antibiotics for life-threatening conditions. However, statistics show not only that antibiotics are given inappropriately for infections that are not bacterial in nature upwards of 50% of the time, but also that, in the case of the fluoroquinolones, they are also given for minor infections that have safer alternatives. For instance, in the case of bladder infections, Fluoroquinolones are often prescribed when the less dangerous Sulfa drugs have not even been tried (not to mention the harmless natural substance called D-Mannose that eliminates urinary tract infections in most cases, and with no side effects for anyone. These drugs are also provided inappropriately, the vast majority of the time, with steroid drugs and Tylenol, which increase the risk for serious side effects. Also, having so many antibiotics in one's lifetime destroys the 'good' bacteria in one's digestive tract, which can and does lead to poor health down the line for many people- even those who do not take the Fluoroquinolones. One last thought is that, sure, the vast majority of people are not going to become disabled from the Fluoroquinolones, but EVERY SINGLE person who did told me that if they had only known before they took them about the years of horrible disability they would be suffering from, that they would never have taken them. 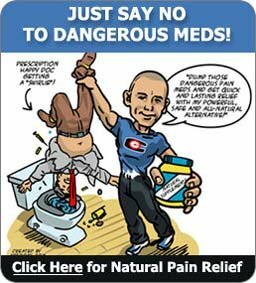 So, sure, you could go for a lifetime of taking these chemotoxic drugs that are in the same class as chemotherapeutic agents and never suffer any downsides, however, if you do, I suspect you'll regret having taken that last dose and would have worked hard to find an alternative to antibiotics for your recurrent sinus infections rather than suffer years of disability. 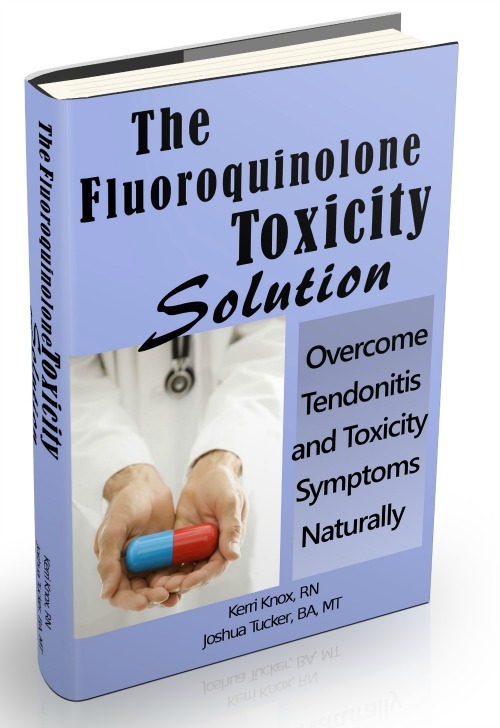 So, I wish you luck and hope that you never need the use of my book The Levaquin Tendonitis Solution, but those who HAVE been in need of it are the biggest proponents of limiting the use of Fluoroquinolones to only 'actively' life-threatening infections. I liken the use of the Fluoroquinolones to playing Russian Roulette with a gun with tens of thousands of chambers and only one bullet. If you want to play Russian Roulette, and have weighed the risk/benefits of doing so for you, that is great. Personally, I choose not to play Russian Roulette at all if I can ever avoid it.